For the members of the Dead, especially Jerry Garcia, the band began as a spiritual journey of boundless exploration, but ultimately turned into a gigantic snowball that was truly kept alive by their fan’s enthusiasm to keep them touring. Sure there was the monetary aspect of things, and all of the crew, production, and office staff depended on them for their livelihood (many of them for decades). As anyone could imagine, there was a great deal of weight on Garcia and the rest of the boys to keep each night interesting, with varied set lists and arrangements, and then their performances were to be picked apart and possibly scrutinized by uber-heads. This is why in 1975, Jerry Garcia took his project that had been formerly called Legion of Mary, and created the Jerry Garcia Band. All of Garcia’s side projects, including his “band” featured close friend John Kahn on bass. The band else wise was an ever-changing lineup through the 1970s, featuring great keyboard players like Nicky Hopkins, Keith Godchaux, and Merl Saunders. In 1976, Jerry commissioned Donna Jean Godchuax to provide backing vocals to his band, then later Maria Muldaur. Into the 1980s, Jerry finally settled on a permanent lineup. Of course there was Kahn on bass, rock drummer David Kemper, soul vocalists Jackie LaBranch and Gloria Jones. The most unlikely of choices was church organist and keyboard player Melvin Seals. In 1981, when Garcia tapped Seals to audition for his band, he had never heard of Garcia or the Grateful Dead. Jerry was thrilled by Seals innocence and disconnect from the big Grateful Dead snowball, let alone impressed by his key skills. All this history is relevant and there is so much more to dig into. Garcia used his band as an outlet to escape the Grateful Dead scene, songs, constructs, and politics. He loved so much playing Rhythm and Blues, Motown, funk, disco, reggae, and calypso. Though these sounds would be weaved into the Dead’s music, Garcia explored his favorite songs and covered them extensively with his band, something he never got to do with the boys in the Grateful Dead. Over the years, the band developed a beloved following, playing much smaller venues on average than the Dead, and seeing Jerry in boisterous musical and physical form. Many would argue that the Garcia Band was more worthwhile to see in the mid 1990s than the big bad Grateful Dead. Something about it being his band made it especially passionate and energetic. 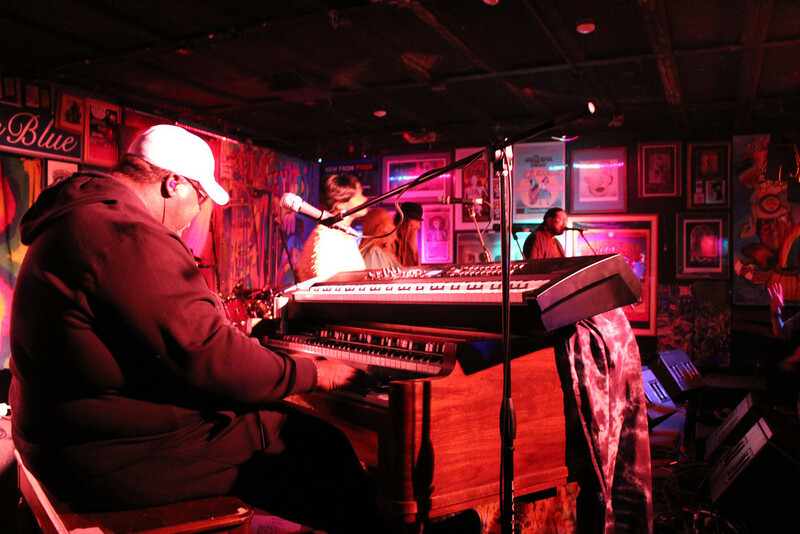 After Garcia’s tragic passing in 1995, Melvin Seals, who had been fathered into the scene by his fallen band leader, decided that the band must continue playing the great stylings that Garcia’s cover band had come to be wonderful at. Sadly, John Kahn passed only half a year after Garcia did under similar circumstances. Since 1996, Seals has abbreviated the band simply as JGB: Keepers of the Flame. I have had the pleasure of seeing around twenty JGB Band shows since 2006 or so. Original members such as Kemper, LaBranch & Jones, have rotated in and out of the tribute project. One thing that remains consistent is Melvin Seals presence in the band. For years and years, Stu Allen, a guitar wiz and fantastic Garcia channel (too sincere to be an impersonator) was “the Jerry”. But recently he took a leave to raise his baby girl with his wife and retired from the road. Since its all a tribute anyways, the band and its fans graciously welcomed Dave Herbert as the new guitar player. This was my first time seeing Herbert replace Allen. 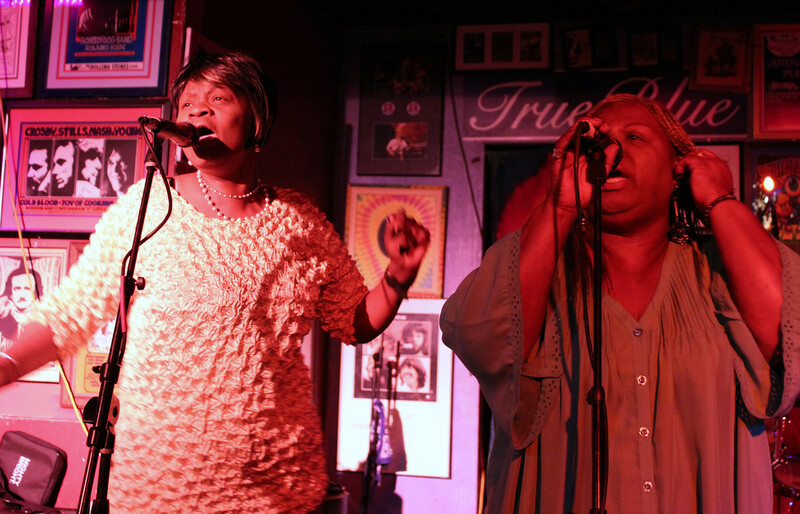 In addition to Herbert and Seals, the band is supplemented by Pete Lavezzolli (Drums), Shirley Starks & Cheryl Rucker (vocalists), and “The Schwag” member Jimmy Tebaeu (Bass). 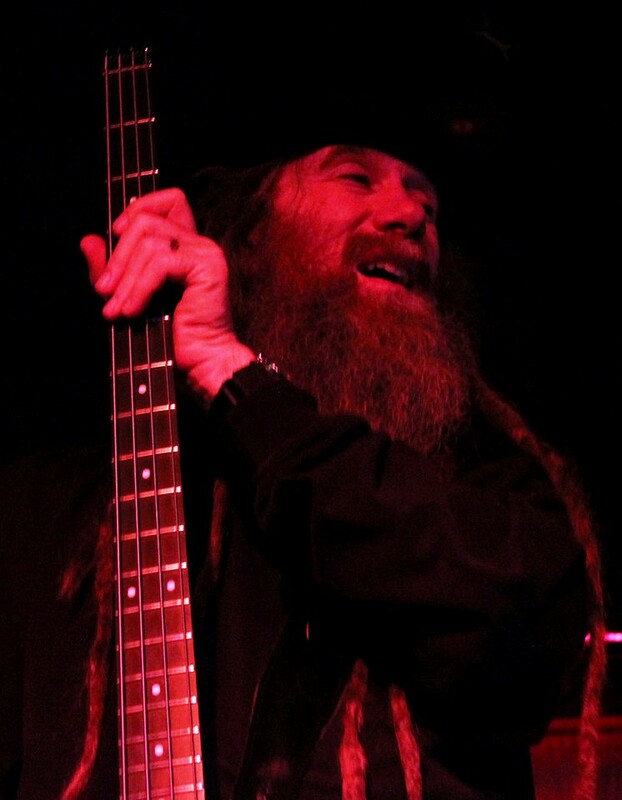 This last New Years Eve, 2011, the JGB Band played at Quixotes True Blue in Denver, Colorado for a three-night extravaganza. Local Dead cover band Shakedown Street opened and played set break all three nights. For those who have never had the pleasure of attending a show at Quixotes, it’s simply a MUST. Relocated to it’s best location in my opinion, 21st and Lawrence right outside of Denver’s Five Points neighborhood, the venue has an ambiance like the best of the old-school Dead mainstay venues. Located in a somewhat questionable neighborhood, hassle free by venue staff and police, and a complete shrine to Garcia and the Dead. The walls are ornamented with rare collectors posters from Dead shows and other such from that category. A courtyard area outside allows heads to smoke and get a breath of fresh air when needed. Also a backroom has a B-stage where supplementing acts can perform. It’s really hard to encompass how awesome Quixotes is without having been there. As the JGB Band took the main stage, I was happy that the venue was only half full. Too many shows going on in Denver resulted in perfect dance and breathing room, something that lacks when the venue sells out. The band opens with the Peter Tosh classic “Stop That Train”. Already Herbert is proving to be filling in for Allen amicably. Next we get “Second That Emotion”, a Garcia band staple, into Garcia’s original “Run for the Roses”. After these three came one I had never heard JGB Band perform, Jimmy Cliff’s “Struggling Man”. This song bled of memories of seeing Garcia smile as he whisked the crowd away with a bouncy solo. After an extensive workout of that song, JGB Band busts out “Rhapsody in Red” and gives Starks and Rucker a chance to display what those pipes are made of. To close the set, the band launched into a Jerry favorite, “Catfish John” into “Lonesome and a Long Way From Home” which served as a vehicle for extensive low-down jamming and psychedelia. At set break, Shakedown Street keeps the crowd entertained and focused in the B-room, as others enjoy the fresh air in the courtyard. Personally I perused the posters on the walls and chatted with friends who had shown up from already over concerts around town. Without taking too long, JGB Band emerged for a killer second set. “Get Out of My Life Woman” opens the second set, an upbeat lament on the pitfalls of heartbreak and despair. Next comes on of my favorite Garcia Band originals, “Gomorrah”, beautifully sang by Herbert, Starks, and Rucker. Though I may prefer ever-so-slightly Allen’s vocals to Herbert, he really did this song justice, and would have made Jerry proud. 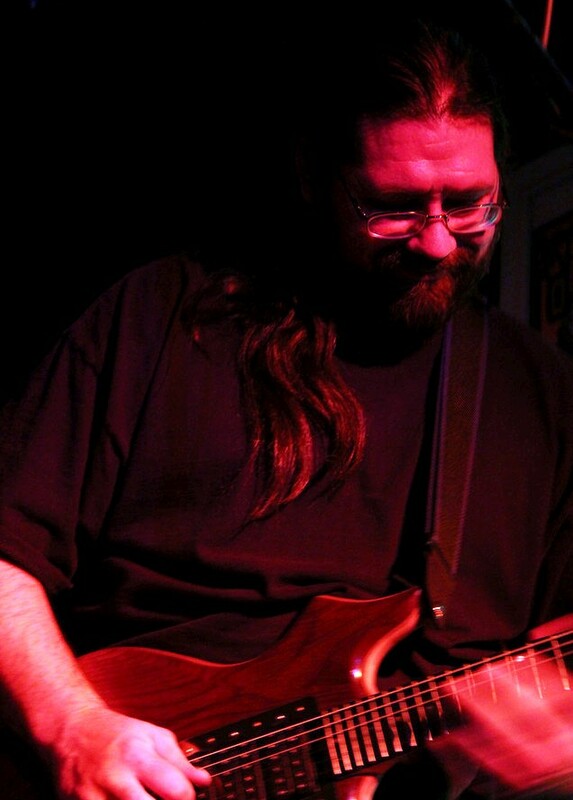 Next came an excellent cover of Eric Clapton’s “Lay Down Sally”, which Garcia Band covered extensively and successfully in the mid 1990s. Right into “Mission In The Rain” another Robert Hunter/Garcia original. This rendition was sweet, but nothing really beats listening to the Auditorium Theatre 1976 performance by the Grateful Dead. We are all so spoiled with having all these tapes to listen to. “Mission” quickly fizzled into the Garcia band’s token cover “Don’t Let Go”. One of the most extensive vehicles for jamming that the band ever played. After a seventeen-minute workout on that, the band leaves stage for the familiar encore call. Though some have left (its about 2am, past last-call for liquor in Colorado) the crowd amicably welcomes the band back. Simply my favorite Garcia cover, Bruce Cockburn’s “Waiting for A Miracle” comes next. Introduced by the Garcia Band in 1988 and played through the end, this is the true spiritual soul aspect that Garcia stressed in his band’s music. JGB Band’s rendition that night was magical. Played into “My Sisters and Brothers” a spiritual sing-along about accepting all from different walks of life. Capping off a triple encore with Peter Rowan’s “Midnight Moonlight” gave this three-hour show its icing. The band left and the crowd was overly satisfied. The thirty-minute drive home was a little rough at 2:15 AM, but well worth it for one of the best shows I have scene the band put on in recent memory. This is not a cover band. It’s a tribute by those who know Garcia’s music best and the nucleus of its spirit. I can’t wait to see them next time, and how the new lineup fares.